While the runaway price growth in Canada’s most dynamic housing markets is showing no signs of ending any time soon, several other regions in the country have actually started experiencing improved home affordability, according to the National Bank. In a report released last week (April 20), the Bank said that six Canadian markets have shown better affordability for the first quarter of 2016, with the greatest improvements in Montreal, Calgary, and Ottawa-Gatineau. 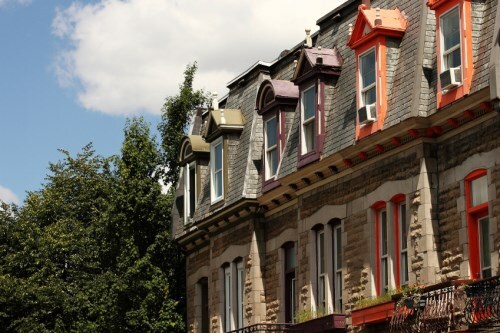 “Montreal homes have become the most affordable in a decade,” National Bank economists Matthieu Arseneau and Kyle Dahms wrote in the report, as quoted by CBC News. The National Bank measures affordability using the portion of a city’s average household income needed to pay off a home on a 5-year term and a 25-year amortization. The report revealed that this percentage dropped by 0.5 points in Montreal and the Ottawa-Gatineau area on a quarter-over-quarter basis. In the same period, Calgary posted a more significant 0.7 per cent drop in the fraction of income needed for monthly payment. According to the Bank, Calgary households’ current percentage allotted to mortgage (28.2 as of this quarter) is at a historic low. Arseneau said that these developments stem from different causes depending on the region. Calgary real estate prices are on a continuous dive as the city is still reeling from the worst effects of the soil shock, while Montreal is enjoying a combination of static prices, low interest rates, and increased income. Housing Affordability is not measured the way this study is completed. Housing Affordability has 4 unique ages of Canadians to consider. 30-36, 45-55 and 60-70 and 70 plus, so which one is the study talking about. Assuming the median household income was used that means the 36-46 group was being referenced and sorry at that age we are talking trading up not entry or exit.